My name is Andy Gorstein. 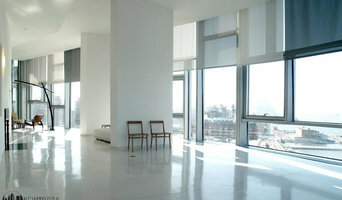 In 1943 my Grandfather began a venture called B & A Glass and Shade Co. in NYC on Amsterdam Avenue. His store sold Shades, Mirrors, Wallpaper, Hardware & Carpeting. My father Norman joined the business in 1964 when it relocated to Englewood, NJ. Having spent most of my childhood observing and learning about window coverings, it was only natural for me to get involved full-time. 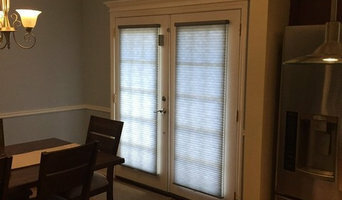 I soon realized that there was a great need for a business that specialized in only custom window coverings at great discount prices. In 1987, I began what is now called The Blind Spot. My business is conducted out of my ”State Of The Art Mobile Showroom" keeping my expenses to a minimum. At "The Blind Spot" customer service is first and foremost. I am your consultant, your installer & the owner of my company. With the addition of my son Jack helping me in the summer months , I'm proud to call myself a fourth generation business. 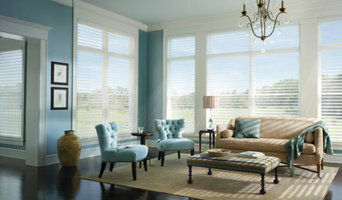 I carry the complete Hunter Douglas line of products and I am also a Centurian Dealer. . Call me for a free consultation. I'll bring my state of the art mobile showroom to your home/office and demonstrate fully functioning shades, motorized and manual in a beautiful showroom atmosphere.